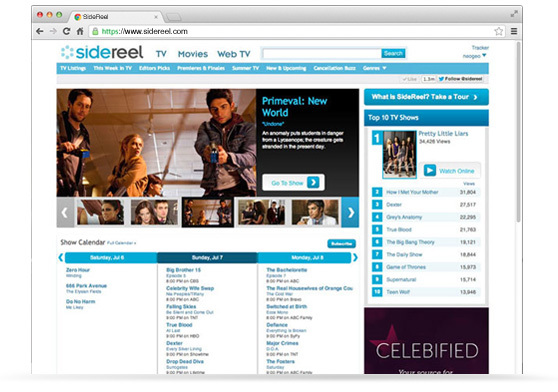 SideReel is an independent TV show discovery destination that helps users find, track and watch tv shows online. As the Art Director for SideReel, I was a key contributor to the redesign and rebranding. SideReel's core demographic are the young 20's with a 60% tilt towards female. The focus of the redesign was to create a cleaner/friendly tone, make finding a tv show easy, and refine/enhance the core feature of tracking/managing TV shows and episodes. 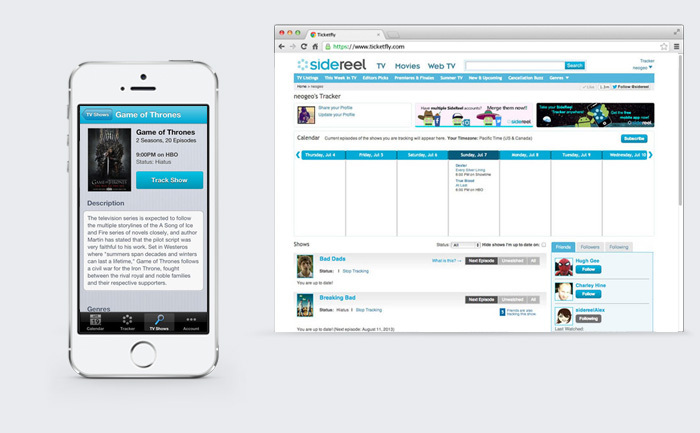 The SideReel iOS native app, launched in 2011, was designed with a core usability of show management. We hired George to take over design at SideReel and have been extremely impressed with his efforts across our various properties - web site, iphone app., google Tv, and so on. He has a great eye, is a rapid prototyper, an excellent design team lead, takes feedback extremely well (this is key), and balances the competing demands of customer experience with business requirements with aplomb. I wish there were more George Hu's out there. George is a fantastic designer and Art Director. He puts out incredible quality at both the strategic and tactical level. He's one of the rare breed of designer who can work with a multitude of individuals and respond to their requests in a low-ego, high-quality way. I'd work with George in a heartbeat.